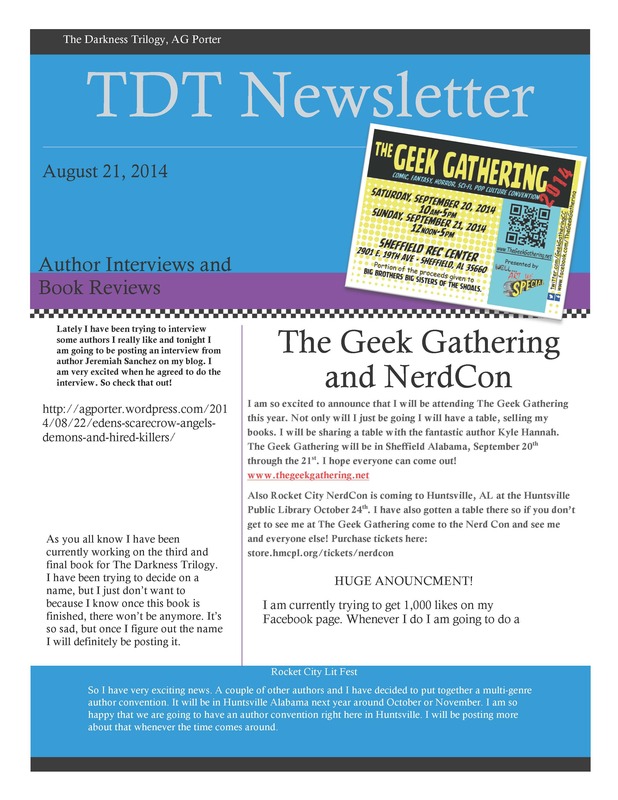 If you’ve signed up for mailing list then you’ve already been privy to my recent announcements. However, for those of you who are inundated with emails (I understand) you can see what’s happening here on my blog. Well everyone it’s almost here, The Alabama Phoenix Festival. I can not tell you how excited I am. There will be so many authors that I will get to meet. There will be a costume contest, for the book characters. The Alabama Ghostbusters, and the Millennium Falcon’s from Stars Wars will be there.There will also be a real life Tardis from Dr. Who. 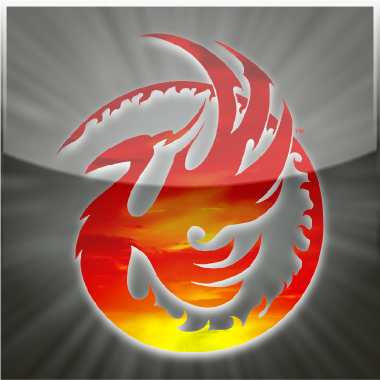 I can not wait till the Alabama Phoenix Festival. I have been waiting for this for a couple weeks. I am so happy that I will get to be part of this event. It is a wonderful opportunity that I get to go. It will be May 30th- June 1st. I can’t wait to see everyone, and I hope that I have a great turnout! The young girl with pretty blonde hair knew that her time was coming to an end and it was coming fast. Although, she suspected that it wouldn’t come in quite this fashion. She was young; full of life and promise, dying had never really crossed her mind. Of course there had been that one fleeting moment of death tickling at the back of her thoughts. It was after she lost her first puppy to the neighbor’s much larger canine. Yet, it was just that, a fleeting moment, a blink of an eye and then it was gone. Now here she stood, death looming over her in the form of things that weren’t supposed to be real. Her imagination was very vivid for most children. In fact, her parents had often scoffed at her stories when she would tell them that she was being chased through the gardens by a boy with his heart on the outside of his chest. In her childlike mind, he had been real. She had seen him lurking in the shadows of the trees while she sat on the ground, dirtying her dress that her mother told her not to dirty, playing with her dolls. At first she didn’t think he was truly there, that he were a mirage created by the shadows. Then as he moved closer to her she could see that he was indeed, a breathing person, much alive yet with the look of death about him. The boy had a pale face with dark, black eyes and wore a torn and tattered suit. It looked like a suit her father would wear when he and her mother would dine out or go to the opera. His top hat was bent and sat crookedly on a mess of matted black hair. When he had moved into the light that was when her crisp, blue eyes saw that his heart was on the outside of his body, coloring his white shirt red with the blood that seeped from his heart. As Alice looked closer she could see that it was still beating. That was only one of many occasions where Alice saw something she wasn’t supposed to see. After a while she learned to keep those things to herself otherwise she figured that she would end up in the local asylum. Despite the fact that she chose not to share her encounters with her parents, she still acknowledged they were occurring. Looking back, she wished that she’d just ignored them all together. If she had, there was a good chance that her current predicament would have never taken place. She would have never followed the rabbit with sharp fangs, a bent ear and suspicious red stains around its mouth, to that cemetery. Also, she never would have taken a tumble down the hole in the crypt and ended up here. In retrospect, she would have never met a cat that could disappear when it wanted and that seemed to be more human than feline. He would have never gotten the chance to taunt her about needing to “fill out” the dress she was in before he would even consider helping her. Or the caterpillar that only wanted her blood so he could smoke it. “Human blood is more potent than any other blood I’ve tried,” he had said, his eyes glazed over and his many hands fumbling with a small cookie he put in his slimy mouth. “I need my blood,” she had told him, strapped to a table in his house. Alice had stumbled upon it after ending up in “Wonderland” as the locals called it. At first, she had been bewildered by her surroundings. It wasn’t like her home, where things had rhyme and reason to them. Here, gravity was askew and so were the laws of physics for that matter. He had found her huddled next to the giant mushroom he claimed to be his dwellings. Alice didn’t even scream when she saw him approach. Her young mind had accepted the fact that she was somewhere that things were weird and terrifying. That still didn’t prepare her for the caterpillar trying to intoxicate himself on her blood. He had sat her down at a very large table and given her an oversized bowl of mushroom soup. She had to say that he was the nicest caterpillar she had ever met. He was also very pretty. He was a caterpillar, so his many legs naturally made her skin crawl, but his colors were bright and vibrant. He had a bright purple body and bright green and blue spots that ran the length of him. While Alice was admiring his markings she began to feel rather odd. His face started to swim in her vision and the next thing she knew she was strapped to a table with a needle in her arm. “I’m just a young girl,” she told him. She struggled with her restraints, which only seemed to make them tighter. Her eyes wandered around the room, looking for something or anyone that might help her out of the straps. This room was nothing like the kitchen she was just in. It was dark, damp and smelled horrible. She looked to the left and saw the caterpillar, busy mixing her blood with other items. Then she looked to the right and felt a bit of vomit work its way up her throat. There was another girl in here, but she was far gone from this world. Her body looked shriveled, her hair dried and her eyes wide open in horror. “Do you think you’re the only naive girl to follow the rabbit here?” the caterpillar chuckled as if it were the funniest thing ever to be said. Alice knew then that she was in a terrible situation. She would have died a very slow and painful death if it weren’t for the tall boy with his heart outside his body who burst through the door at that very moment. He looked down at her and then up at the caterpillar. “I knew it!” he exclaimed. “Mad, really, have you ever heard of knocking?” the caterpillar asked, his voice thick with annoyance. “You’re forgiven dear old friend,” the boy said, laughing. He turned around and looked at Alice. Her eyes were wide with confusion and she flinched as he approached her. Mad untied the knots that had her bound to the table. She was a bit wobbly so he helped her to her feet and she leaned on him as he helped out of the mushroom house. The sky had turned dark and there were two super moons in the sky, yet there were no stars. She felt so isolated in this place called Wonderland. Mad lead her toward a carriage. When it came into full view Alice considered going back inside. It was a carriage made of bones. She could see femurs, skulls and phalanges scattered all throughout the contraption. The driver was a fat, squat boy with a perplexed look on his face. Another boy, who looked exactly like the driver, opened the carriage door for them. At the front of the cart stood four horses, kicking at the blue colored dust on the path. These weren’t normal steeds. Instead of the beautiful, majestic beasts that pulled her family’s carriage, ones that were covered with skin, these weren’t. The muscles, veins, arties and sinews were all visible. One of the monsters looked back at her with its lidless eyes and snapped its large teeth at her. “Behave yourself, beast,” Mad waved his hand at it and the horse “nayed” in response. Without her even realizing it, Mad put Alice in the carriage and they were off. She really wanted to fall asleep. Her eyes burned and her lids were heavy, but being in a bone carriage with a clearly deranged boy sitting across from her, she forced herself to stay awake. “I’m what?” Alice wasn’t sure if she had heard him clearly. “Here, you’re going to need this,” he said and handed her a sword. He seemed to have pulled it straight from the carriage walls as the handle was made of someone’s leg bone. The blade was a brilliant silver and sharper than the best sword there ever was. Alice held it in her hands, wondering why she was sitting here in this carriage with this strange boy, holding a sword. “I don’t understand,” Alice felt sick and moved herself over toward the carriage window. Alice sat there for a moment, wondering at what Mad had told her. She had two choices the way she saw it. She could do as Mad said and kill the Queen of Hearts or she could not kill the Queen of Hearts and fight her way back to her own realm. She would then find a way to close the portal between the worlds so that these hellish creatures could never return and hurt anyone else. Alice looked at Mad and then suddenly she pointed the sword at his throat. He held up his hands as if he were surrendering, but he was smiling widely at her. “If you eat humans, why would I help you?” she asked, pressing the blade harder into his skin. “Find another one,” she told him. “Why thank you,” he replied, his smile bigger. “Stop smiling! Why are you always smiling?” she screamed. Suddenly the carriage jerked to a stop. Alice lunged forward, the sword plunging into Mad’s neck. Thick, black blood sprayed all over her, covering her from head to foot. More and more gushed out, running down Mad’s chest, as he struggled to breathe. “Oh no! I’m sorry! I wasn’t…it was just a threat…oh no!” Alice cried, trying to use her hands to stop the blood from pouring out. It was useless, it gushed and poured and colored her pale skin black. One of the twins yanked opened the carriage door. She looked at him pleadingly. His expression wasn’t what she expected. He looked…well…he looked bored. Then he actually rolled his beady, black eyes. “Mad, we’re here,” he said. Alice looked at him in shock then back at Mad. He had stopped gasping for breath and was smiling at her again. He gripped the blood covered blade with both hands and yanked it free from his neck. Alice watched in awe as the wound on his neck healed over quickly. “You were faking it?” she gawked at him. “Then how do I kill the Queen?” Alice wondered. Alice and Mad were standing in front of a giant hedge maze. At first glance it didn’t look as if there was an entrance, but with a tip of his hat they were suddenly inside, the plump twins and bone carriage were gone. Mad lead the way down the dark path of the maze. He hummed a tune as they walked for what seemed like hours. As young Alice contemplated her escape, trying not to think of her inevitable demise, she heard something snap behind her. The sound was that of a twig being broken in two by a heavy foot. Yet, when she looked there was no one there. She turned to face Mad, to ask if he had heard it too, but he was nowhere to be seen. Alice spun back around as the feeling of being watched crept upon her. She looked from side to side. All that she saw as green, green and more green. There was nothing and no one there except her and the walls of the maze. Then, out of thin air, a being appeared right in front of her. It was tall, hairy and smelled of decay. When Alice looked at it bit more closely she saw it for what it was. A monster made of all things dead. Its body was made of dead animals, all kinds of vermin. Alice felt her stomach turn for more than once that day. She looked for Mad but yet again, he was gone. Remembering she had a sword she pointed it at the beast. It looked down at her and the blade and then easily knocked it from her hand. Her eyes widened and her chest began rising and falling rapidly. She did the only thing that seemed rational for a young girl to do when faced with an otherworldly monster. She ran. Alice ran as fast as her slender legs would carry her. The monster gave chase. She could hear its unnaturally made feet of rodent heads hitting the ground, catching up to her fast. A surge of self-preservation passed through her body and her limbs pushed her even harder than she had ever ran before. Alice, rounded corner after corner, turning left and then right. Her chest was hurting and her lungs were on fire. The muscles in her legs felt like rubber, but she tried not to think about it. If she stopped now then she would surely be eaten by this beast and this was the last place she wanted to die. As luck would have it, she made a turn that lead her to a dead end. She felt along the surface, feeling for a way to break through, but the shrubbery was too thick to squeeze through. She turned around quickly as the monster came around the corner. It smiled at her, revealing blood stained teeth that looked too large to fit its carcass covered head. “I feed when I want, Child,” it hissed at her. It inched closer to her, the smell of rancid meet greeted her and she nearly passed out from the overwhelming stench. Alice closed her eyes, waiting to be devoured. “But you’re not my type,” it told her. “No, of course not,” it said, sitting on it hind legs. “Then why are you chasing me?” she asked. “Because you ran,” it told her. Alice looked at him with the most surprised expression one has given to another. He reached inside his body and pulled out the sword. It was covered in blood and rotted parts of animal flesh. He extended it to her. “You dropped this,” he said. “Technically you knocked it out of my hand,” she told him, reaching for the thing nervously. He reached for her hand gently this time. Trying not to vomit on him she shook his hand. “Now that we are friends, shall we have tea?” he asked and then waved his hands. The maze wall peeled back to reveal a large house made from a giant teapot. A plume of smoke was swirling out of the spout and lights were on in the windows. Alice followed after the beast, not sure if she were any safer with him or alone. “I’m Mir, by the way,” he said. “Mir? What a peculiar name,” she expressed. He looked back at her and she saw that his eyes were in fact just like a mirror. Alice didn’t know if she should be afraid of that fact that his eyes were grossly unnatural or of the fact that he had parents. That meant there were more things like him out there. Since he was being so nice, she decided it was best to stay with him than try to escape just yet. When the odd pair, a pretty young girl and a decaying monster, entered the house a rather cozy atmosphere greeted them. There was a fire burning in the hearth and company sitting around a large wooden table. Besides the fact that there were platters of worms, eyeballs and what looked like kidneys, it looked like a gathering of friends. The white rabbit that had lead Alice to Wonderland sat beside the two plump boys she had seen earlier. The invisible cat, who was now visible, sat next them. Then, right in the front sat Mad, sipping on something dark and gooey with his top hat askew. Alice marched over and slapped him square in the face. “You foul, sniveling maggot!” she screamed at him. “That’s the nicest thing anyone has ever said to me,” he beamed at her. “What? Oh never mind! You left me! Why?” she demanded. “We can teach her,” the twins said together. That caused uproar from the others. Alice backed up against the wall as a fight broke out. It wasn’t just a few shoves here and there. The creatures in front of her tore at each other. There was biting, clawing, flesh ripping, blood spraying and she was certain she saw someone’s ear land in the pot of tea sitting in the middle of the table. When a splatter of blood landed on Alice’s head, she stomped her foot on the ground and clenched her fists in frustration. The occupants of the table stopped mid fight, turned and looked at her. They had malice in their eyes from the their quarrel, but it seemed to slightly soften as she came forward. “Is killing the Queen the only way for me to go home?” she asked as quietly as she could because she was afraid if she didn’t, she would scream so loud their eardrums would burst. “Yes, that’s the only way,” Mad interrupted and let go of one of twins heads he had in a headlock. “And the only way to stop her is with a sword fight?” she asked. The group headed outside where there was more room. Mir lit the torches that surrounded his courtyard. Alice joined Mad in the center of the stone floor as the others sat on porcelain chairs that looked like broken teacups. After Mad showed Alice the proper way to hold the sword he began to teach her how to duel. Over and over he unarmed her, tripped her and pinned her arms behind her back. For hours she failed time and time again. When the sky above then began to brighten, the darkness bleeding away, Alice declared that she needed rest. “Do you think the Queen will let you rest?” Mad asked, unarming her again. Mir showed Alice to a bed that looked as though the sheets needed to be washed. At that moment she didn’t care. She threw herself on the spring mattress and went fast to sleep. Her dreams were odd and dark. Mad was there, teaching her to fight; yet this time she could hear music playing. Soon, they were dancing to a tune that made her think of the carnival her father and mother took her to on their last summer holiday. They were spinning, waltzing and twirling. Painted faces with crooked smiles swirled past them. Thick smells of sweets mixed with something putrid tickled her nose. Then there was something looming in the distance. A figure rushed toward her, black hair and red lips. She felt someone reach inside her chest, clutch her heart and yank it out. It dangled there, swinging like a pendulum on a clock. Alice awoke, screaming in her sleep. Mad rushed over to her and shook her until her eyes opened. “It seems as though you’re upset,” he said, staring into her eyes. “What gave you that idea?” she asked sarcastically. “You were screaming,” he said plainly. “Have you ever heard of sarcasm?” she pulled free from his grasp. He sat there staring at her for a moment. Then her reached up and touched a blonde strand of hair that was in her face. Alice flinched and backed away. He didn’t seem to take that as her not wanting him touching her because he reached for her again, this time running his hands through her hair. “Where I come from males do not touch females unless they are invited to do so,” she told him. “Where I come from there are no females,” he told her. “We are just here, well some of us like me,” he said, leaning forward, sniffing her neck. “That is entirely too close, Sir,” she pushed him back. “You smell,” he told her. “Well, I’m covered in filth and God only knows what else,” she wrapped her arms around her body. “Well, I’m so sorry,” she rolled her eyes. “Indeed, isn’t it,” he said joyfully. He didn’t wait for Alice to respond, not that she intended to, and grabbed her by the arm to lead her outside. There he covered her once pretty light, blue dress with dirt and grime. As he took a handful of mud that had something grotesque mixed in with it and rubbed her cheeks with it he began to smile. It was a smile that Alice was sure she had never seen from him before. “You are not like most humans,” he said to her. “Why? Because I’m not running and screaming from you because you’re about to eat me?” she asked sarcastically. “You sound half way normal right now,” Alice pointed out. “Why?” Alice wondered, feeling in her bones that his words had more meaning. Will save the monsters of the night. She’ll wear the raiment of blood and of spleen. So all the monsters are free to feast. The end of creatures shall be neigh. Can dig the graves in the fields.” Mad quoted. “That’s inspiring,” Alice said, feeling weak in the knees. To keep the monsters from her land. There is nowhere her people can flee. Her world will be torn like a withered page. Mad, for the first time since she had met him, looked pale with fear. She glanced down at his beating heart and saw that he was clinging to it. It dawned on her then that this is what the Queen had done to him. While she wanted to hate him for what he was, she couldn’t help but sympathize with him. How terrible would someone have to feel to rip out their own heart? “Where is this Queen?” she asked, grabbing her sword and walking toward the door. Mad let go of his heart and gave her one of his creepy, yet oddly charming smiles. The two of them left the teapot shaped home and headed deeper into the hedge maze. As the hours passed they said little to one another. It wasn’t until Alice’s stomach started to grumble that they stopped. Mad expressed that she should have eaten at the house, but she politely replied that she would rather die of hunger. Luckily for Alice Mad knew that her human body couldn’t live on the flesh of her own so he had brought along a piece of bread. He explained that while they did enjoy a more meaty meal, they did dabble in wheat and flour. Alice took the bread gratefully and ate it with boundless joy. “Have you ever thought of another way?” she asked him as they continued down the path. “I don’t understand the question,” he stated. “Another way to live? I mean, who said you had to eat humans to survive?” she wondered. “Things are just the way they are because that’s the way they are,” he said which made Alice’s head spin. “I could ask the same about your people,” Alice said crossly. “I think when it comes down to it, you’ll choose a different path. You’ll find another way,” she told him. She and the boy who looked like a monster finally came to a stopping point. They stood at a wall that appeared to be some sort of black stone. In the center of the black wall was a white rose that was literally dripping with something red. Alice had an idea of what the substance might be, but didn’t want to think about it. Mad reached up, cupping the blood in his pale hands until it made a tiny pool in his palm. He dipped his finger into it and began drawing an odd looking symbol that Alice didn’t recognize onto the surface of the wall. When he was finished he took Alice’s hand and brought it to his lips. Just when she thought he was going to kiss her fingers, he bit them instead. “Ouch!” she said as one of his sharp teeth pricked the tip of her index finger. “Tasty, just like I imagined,” he stated and then put her finger in the center of the rose. The ground shook slightly beneath them and then the wall slid up. They entered the courtyard of the Queen of Hearts. Instantly, Alice could tell it was different here. The air was thicker and somewhat hotter. Alice was about to comment on how much darker it seemed here when Mad gave her a push. Alice stumbled forward and began to run, trying her best to keep up with Mad. She risked the chance of looking back and regretted it. There were around fifteen or so guards that were chasing after them with weapons in hand. It wasn’t just her being chased by guards that brought fear to her mind. Alice thought she had become accustomed to the grotesque nature of the creatures in Wonderland. However, she wasn’t prepared for the monsters that were pursuing them. They were all shapes and sizes, but with similar facial features. They were gigantic for starters with matted hair the color of snow. Their eyes were cat like in appearance and a luminescent yellow. The skin that covered their misshapen noses was black as soot with patches of a muddy green color. The two of them came around a corner and stopped in their tracks. Twenty or more guards were heading straight for them. They turned back around as the other group reached them. Alice brought up her sword and struck one of the guards straight in the heart that was hanging outside of his chest. He fell to the ground with tremendous force. Alice was about to strike down another one, but Mad stopped her. “Save your strength,” he said. Alice looked confused for a moment, but then nodded her head as they held up their hands in surrender. One guard moved forward and bound their hands behind their back. Alice struggled against the guards, but allowed them to move her forward. They moved from one courtyard to another. In this area there was more plant life, sort of like the garden her mother had back home, but the flowers here looked dead. Gray vines grew up the walls of the palace and wound their way around the nearby trees, choking their growth. “And here she is,” a screechy voice echoed around them. Alice looked up and saw a slender woman walking down the steps of the palace. She had a croquet mallet in her hand, leaning against her shoulder like a member of a dark military. She sneered down at Alice and then glanced at Mad. “Mad, my darling, have you come to finally die?” she smiled revealing sharp teeth, stained red. He hair was pitch black; the tips were that of sharp metal claws. They made a tinkling sound as she moved. The Queen had snake like eyes that were as red as her teeth. Her pale skin looked like death. “And I’m always ready to appease my subjects,” she said, stopping in front of them and placing the croquet mallet under his chin. “Leave him alone!” Alice pushed herself in front of Mad. The Queen shoved her to the side and her bands of black hair reached for Mad’s heart. “Take me!” Alice screamed, jumping in front of Mad again. “You’re in no position to negotiate, Child,” she hissed. The Queen waved her hand and the guards removed her bindings. She led Alice to the center of the courtyard and then stood to face her. The croquet mallet that she held in her pale hands suddenly turned into a sword. She brandished it in front of her. “Shall we begin, sweet girl?” she bowed to Alice. Gulping, Alice pointed her sword at the Queen. Faster than Alice had time to see the Queen’s blade sliced her arm. Alice cried out in pain and grabbed at the bleeding wound. She brought up her blade just in time to stop the Queen’s sword from slicing through her head. Then just as quickly the Queen brought her sword around and sliced along Alice’s back. Once more Alice screamed in pain. She fell to her knees just as the Queen stabbed her through the shoulder. Alice’s red blood covered the blade. The Queen brought the sword to her mouth and licked the blade clean as Alice withered in pain. “Good thing you aren’t me,” Alice said, trying to stand up. Alice felt the weight of the Queen’s words. She knew in her heart that it was all true. Without thinking about it she felt herself reaching for her chest. There was a slight pain that raced across her chest as she dung her fingers into her flesh. Blood ran down her torso as she dung deeper and deeper. “That will never happen,” Alice said, the spell the Queen had cast over her broken. Alice stood up and they began to fight. Alice swung her blade over and over and missed each time. The Queen was much luckier. Each of her swings cost Alice another drop of blood another deep gash. At last the Queen unarmed her. Alice watched as her sword went flying into the group of guards. “Off with her head,” the Queen said in a menacing whisper and then brought up her blade. At the last possible second Alice reached up and grabbed a handful of the Queen’s sharp black hair. She yanked off one of the silver claws and jammed it into the Queen’s chest. Black blood splattered Alice’s face, but she kept pushing the claw into the Queen’s chest until she felt something snap and splinter. Alice shoved the claw one last time, twisted it and then pulled out the Queen’s heart. “You lose, Queen of Nothing,” Alice said. She walked over to fetch her blade. She gave the Queen one last look and then plunged the sword into the black heart in her hands. The Queen without a heart gave one terrifying scream and then died on her courtyard grounds. Alice threw the heart at the dead Queen and slumped to her knees, exhausted. Mad broke free of the guards and came over to her. He hugged her close to him and then looked at her. “What is this on your cheek?” he asked her as a tear escaped from her eyes. “Only an expression of happiness, dear Mad. Knowing that I saved many others here tonight has given me great joy,” she told him. “I think that I might kiss you now,” he said. “I think that I might actually let you,” she responded. Mad leaned forward, placing his cold, dead lips on hers. He could feel all of the strength that coursed through her body. Inside he struggled with controlling the hunger he felt, the desire to devour her. He knew that being consumed was not her fate for she was far too precious. Instead, he took the sword from her hand and plunged it into her chest. Alice gasped. “Thank you,” she told him and died in his arms. “Why did you do that?” one of the guards asked. The Forsaken is now Live on Kindle! With all of these teasers I am happy to announce that The Forsaken is now live on Kindle! Also, don’t forget to stop by My Book Addiction’s Facebook page today at 4:00 pm EST. I’ll be taking over her page for an hour. With just a limited time there is no telling what I might do…or giveaway!!! Have a GREAT day of reading, writing or whatever you’re into! Chapter 2 of The Forsaken! Chapter 2 of The Forsaken is now up for your reading pleasure! If you want to leave a comment, please feel free to do so! I woke again thinking of her. This feeling welled up inside my heart until a slight moan of anguish passed my lips. It felt as though that sound was earsplitting, able to shatter glass, but it was only a whisper. My body was tense and rigid. I must have had that dream again. There were two distinct dreams that I had of Rayna. One of them was on a beach in my hometown of Australia. It was sunny and the wind was crisp and cool. In the distance I would see her. She would wave to me with a smile on her face. I knew that she was beckoning me to join her as if nothing between us had changed. For a moment, in those dreams, we were happy. There was no Gift and there was no Jayce. It was only she and I. When I had those there was a part of me that was vaguely aware that it was just a dream. However, there was a part of me that was oblivious to that very important fact. Upon waking, when reality settled in, it felt like something was ripped from my chest. My emotions were raw and vulnerable. A piece of my heart seemed to die each time. Then there was the nightmare. Rayna and I were always inside some old structure, something made of stone. It was cold and the floor was wet with freezing water. When I looked at her she would always be crying. Her soft purple dress would be covered in blood. She would always have this purplish light on her skin. When I would look behind me I saw moonlight shining brightly through a stained-glass window. Then we were suddenly transported to The Landing. Rayna would still be crying, but there would be this eerie smile on her face. It was as if she were still behind those soft, brown eyes, but something else or someone else was controlling her body. That would be when she would jab a long, sharp blade into my chest. When I woke up from this nightmare I always felt sick. There was this sickly sweet smell that always filled my senses. It was no different this morning. I had to run for the window and open it up, letting in the fresh salty sea air. Inhaling deeply, I let the wind wash through me. I rested my arms on the windowsill, bowing my head as the nightmare played in my memories. There was a sound of a bird chirping and I looked up. The sun was peaking over the horizon, bringing memories back that I wanted to stay buried. Sleep was still clinging to my senses and I could tell it would be for a while. It actually surprised me that I was sleeping more these days. I don’t know what the change was, but I couldn’t say it was good. I think I would rather not sleep than sleep and dream of her. Then again, it was the only way I could see her face. The only way to feel close to her was to see her in times of slumber. It wasn’t real, it wasn’t healthy, but it was all I had. I wasn’t sure what the dreams meant. I knew without a doubt that Rayna would never hurt me like that. She may have torn my heart out of my chest, figuratively, but she wasn’t capable of physically hurting me. I knew that she thought that’s what would happen to me if I stuck around. Try as I might, she wouldn’t believe me when I told her that we could find a way to work around it. There was nothing I wouldn’t do to make sure that she was safe just as there was nothing she would do for me. Yet, she pushed me away and how can you help someone who doesn’t want help? How can you be there for someone who doesn’t want you around? There wasn’t a doubt in my mind that Rayna loved me. She had made it clear when we were together. The way she smiled at me, how she held my hand, I could feel her love the way I felt the sun upon my skin at this moment, warm and pure. It was hard to think about that right now. Honestly, I just couldn’t afford to think of it. If I allowed myself to begin to wallow I would never stop. Rayna had taken so much out of me. It wasn’t hard for me to let her in and once I did it was hard to come back. “Sorry,” I said and shut the window. “It didn’t go off,” I informed him. “Great!” Henry exclaimed and then started moving around the room like a tornado, finding something clean to wear. I liked Henry. I had gotten to know him fairly well since starting classes at the University in Australia. He was in most of the same classes as me. He was a music major as well and could play the bass guitar like nobody’s business. We had a few jam sessions outside of class too and I was filling in as lead guitar in his band while his buddy, Abe, was recovering from a terrible car wreck. “If we’re late again Professor Krimble is going to murder us,” he told me. “Well we wouldn’t want that now would we?” I asked sarcastically at his overdramatic reaction. “No, definitely not,” he answered seriously. This made me laugh. Henry was one of those people who was perpetually nervous. He was also very scattered. There were times I wondered how he was able to function. Then when I saw him play the guitar all of that nervousness seemed to wash away. He was an entirely different person; he was very calm and smooth. The girls loved him. His voice was smooth and I had seen him on many occasions giving out winks, which made the girls in the audience swoon. He wasn’t a vile person, but he took advantage of his charms. Henry came home with numbers and more than a few kisses. I didn’t envy him. There was only one person whose kiss I desired. “Aren’t you going to get ready?” he asked running a very pale hand through his light red hair. “I’ll meet you there,” I told him and lay back down. “I didn’t think anyone cared about that fact,” I rolled my eyes. “Well, I don’t,” I said, hearing the irritation in my voice. I wondered if I would ever be able to go somewhere without people knowing who I was or who my father was. It was the same story and had been my entire life. It always seemed that my father had to have his presence on everything. I couldn’t just have something for me. The only way my father would even agree to allow me to attend the arts-minded university was if he could put his stamp of approval on it and that stamp was a donation. It actually was a shock that he agreed so quickly. A part of me wondered if it wasn’t because he knew that something had happened to me after Rayna and I broke up. He wanted to send me as far away from her as possible I suppose. It wasn’t because he was concerned for my broken heart; he just wanted me to finish college. In a way I understood where my father was coming from. If I had a 19-year-old kid I would want him to go to college instead of following after a girl who didn’t want him. It’s just that Rayna wasn’t just any girl; she was more than that. I wanted to scream at him because he didn’t seem to understand or care about that fact. He would never understand the things that she had to go through and still goes through. Again, I had to get that out of my head. I couldn’t be there for her if she didn’t let me. I had to just go on with life until she realized that we could be together. I just wasn’t sure how long it would take. I took a longer shower than I really needed after Henry left. Grabbing my bag I headed out of the door into the cold January air. Pulling my leather jacket tighter around myself I walked toward Dr. Krimble’s class. I would be late, I was sure, and I knew he would threaten me, but I honestly didn’t care. Dr. Krimble taught music history. While I enjoyed the subject matter I didn’t necessarily enjoy his teaching of it. He was dry, humorless and pompous. He abused his knowledge by treating those he taught with disdain. It was as if he expected all of us to know everything before having the chance to study and if we didn’t then we were treated like idiots. I gratefully entered the hall, my shoes echoing all around me, escaping the cold wind. The heat greeted me but still somehow I felt chilled to the core. It could be because I knew I’d be entering the Ice King’s dimension soon. Opening the door to the class Dr. Krimble looked up and narrowed his eyes at me. As I made my way to my seat next to Henry I tried my best to avoid eye contact with him. “Not at all, sir,” I said as I sat down, shrugging my bag off of my shoulder. And there it was, laid out there for my entire class to hear. Of course, I had brought this on myself by being late more than once. I could sit here and say it really wasn’t my fault since I had felt so sluggish lately, but that would be cowardly of me. Yet, he wasn’t as concerned with his other students as he claimed. He was just ready to jump on the chance to call me out because he viewed me just as he said. Spoiled. Rich. Brat. He wanted me to back down. I guess he thought by insulting me the way he did I was supposed to crawl back into my shell and hide away from him. Instead, I merely smirked at him. Dr. Krimble sneered at me. There were snickers from all around me. Henry snorted until he was choked on his own breath. When Dr. Krimble’s face turned an unnatural shade of red I knew I was in big trouble. He walked right up to me and looked me square in the face. “Get…out…” he whispered, but it was worse than a yell. I realized what I had just done and felt terrible for it. My anger and torment had provoked me to publicly insult and disrespect him. This wasn’t in my nature. I was the easy going one, the calm one. Yet, here I was, acting like a spoiled, rich brat. “Sorry,” I said in a low voice, grabbed my stuff and left the room. I huffed as I walked out the door and down the hall. There was no doubt that my father would hear about this and would be giving me a call. As my feet echoed across the long, empty hall I silently chided myself for playing into Dr. Krimble’s game. Suddenly, there was a chill at my back as if a breeze had found its way in from the outside. Turning around I looked to see if…if what? If I was being honest with myself I halfway thought there was someone standing behind me. I looked from left to right, but there was nothing and no one. I furrowed my brows, wondering why I had suddenly become so paranoid. Pulling my bag higher up on my shoulder I turned back around and continued walking. I rounded the corner and nearly screamed like a girl. There was a girl standing in front of me who actually screamed, well, you know, like a girl. “Oh no!” she yelped, dropping her belongs on the floor. Her instrument case had busted open and her violin had slid across the concrete floor. I watched in horror as it hit up against the other side of the hall and cracked down the middle. The girl went over to it hurriedly, as if that might reverse time and save the instrument. She kneeled down and picked the violin up in her hands. “I am so sorry,” I said, picking up her other belongings as I spoke. She didn’t say anything as she stood up. The girl turned and looked at me with tears in her soft brown eyes. One fell down a slightly freckled cheek. There was so much pain and despair in that tear. Her light red hair fell in her eyes as she looked back down at the mangled violin in her hands, which she held like a wounded child. “I…I don’t know what…I’m so sorry,” she stammered. “You’re sorry?” I asked, confused. She shoved the violin back into the case, grabbed her things from me and stormed off down the hall. I could hear her whimpering all the way as I stood there watching her. She seemed so lost. It hit me all of sudden why she was so distraught. She had said that she didn’t know how to fix her instrument and I knew why. She had already made her way outside. I ran after her into the cold winter air, not paying attention to the fact that it had begun to lightly rain. She turned to look at me as I came to a stop in front of her. “Don’t be prideful,” I said back. She stopped short, taken aback by my frankness. “I don’t know what to say,” she remarked, still sniffling. “Just say that you’ll agree to me taking you to the repair shop tomorrow,” I smiled at her. “Yeah, sure, thank you so much…” she said. Chapter 1 of The Forsaken!! Yesterday I promised to post the first chapter of The Forsaken. You know what? I keep my promises! Come back tomorrow for Chapter 2! Six months had passed since my life had nearly been cut short at 18. I came face to face with a murderer and I had killed him. I was nearly crushed in a car wreck by his accomplice, who got away, but I managed to survive. Surviving was something I needed to be really good at lately. By doing that I had realized what that word actually meant. I had faced so much, too much, and I did it all without completely losing my sanity. That was, from what I could tell. No one had shipped me away to a mental hospital yet, so I guess that means I was doing pretty well. I had to learn to confront fear and then kick it in the face. If I wasn’t able to do that then there is no telling where C.J. and I would have ended up. I heard somewhere that a little fear is good for you. It is a reminder to hold tight to the things you care about and the people you love. I don’t know about it being good for you, but I did know that I had come out on the other side of fear and was pretty lucky to be somewhat unscathed. I had to be brave. Still, here I sat, in the parking lot of my high school, scared out of my mind. I couldn’t believe myself. I had known these people my entire life. They were no more threatening than a marshmallow. But I knew it wasn’t them I was actually afraid of. It was their thoughts and their emotions that frightened me. What had happened to their fellow classmate was well-known to them and the rest of the town. I had recently been cleared to return to school last Thursday. I had to wait; I couldn’t bring myself to start back on a Friday. Those few extra days were supposed to help me prepare for my reentry into the world. That’s what I had told myself. I was just being a chicken. During my recovery I had been holed up in my room, safe and secure from the overwhelming emotions of the outside world. When I did manage to get out I wanted to run back in. I was a little ashamed of myself. My mind was a prison and I allowed myself to give my sanity and peace a life sentence. I would have continued down this path if not for my family and friends, especially Leslie and Sara. They struggled and fought with me almost every day. If I wanted to stay in bed and not brush my hair Sara would make me put on decent clothes while Leslie dolled me up so we could go out. They weren’t the only ones to try and “save” me. Mom and Mimi didn’t go easy on me either. Austin was just as tough and would forcibly make me go somewhere with him. Most of the time it was to my dad’s favorite fishing hole or to the shooting range so I never complained. My mom said that the best way to face this was “head on.” Mimi was in the same mind set. After I was able to get out, Mimi had something for me to do almost every day, which consisted of me taking her all over God’s green Earth. I loved the time I spent with her, but she sure did make me spend a lot on gas. If they only knew I wasn’t moping, I was trying to preserve my sanity. I didn’t want to go out. My Gift had been on steroids since getting back with C.J. in tow. I could feel everything from everyone. I had been fully charged and had just now gotten back to a neutral setting. When I could finally manage to keep everyone’s emotions out of my head I knew there were a lot of things I needed to consider. There were several open-ended questions. Where was Ron? Who was he really? Was he still coming after C.J.? Was he coming after me? Why hadn’t I dreamed about him since our last encounter? Nick said that those answers would come when I was ready for them. He was right. They were all right. Right now I just needed to live. So, as soon as I found out I could go back to school I also asked Mom if I could get a job. It just so happened that Mr. Wu was looking for an assistant. At first I nearly refused because I was afraid of seeing Liam, but from what I understood he would be staying in Australia until further notice. I tried not to pay attention to the pain that bit of information caused. My first day was next week. I wasn’t as nervous as I thought I was going to be. Maybe because it was Mr. Wu or maybe it was because I was eager to get back to The Landing. That place held something for me; I could feel it. I guess because there, a lot of firsts had happened for me. My Gift and my love for Liam had started there. I had grown so much and had faced things I didn’t think I would have been able to handle. Still, here I was, unsure of how my first day back would be. Had I really taken back control of my Gift? What if I lost it during class or when I stepped through the doors? What would it do to me to have all of these thoughts and emotions come rushing in at once? Would I crumble right there? Would I be so overwhelmed that I would just let out the most horrific scream that anyone had ever screamed right there in front of everyone? “Hello?” Leslie called out to me, tapping on my car window. She was bundled up in her fashionable winter coat, toboggan, scarf, and mittens. She was looking at me with concern as Sara came walking up, dressed in a similar fashion. “I’m coming,” I told her switching off the ignition and grabbing my book bag. “Is that all you’re wearing?” Leslie asked, taking in my light jacket. “Yeah, it’s only 27 degrees,” Sara rolled her eyes, laughing. Sara laughed and Leslie’s lips were chattering too much to formulate a response. A few students getting out of their cars spotted us. Instantly I felt their emotions hit me in the chest. I stopped short and inhaled deeply. I had to get myself together or I’d never make it. I could feel their emotions eating away at the shield I had been practicing on for the past six months. Tiny pieces started to chip away; I could feel the pressure start to build, getting stronger and stronger. “Are you alright?” Sara asked, reaching out to touch me, then pulled back. While I didn’t explain why, they knew I “panicked” from being touched when I was already upset. When we climbed the steps one of my teachers was standing there, on hallway duty, and gave me a surprised smile. They knew I was coming back, but I didn’t begrudge them the reaction. I would still be surprised to see someone too when I knew they had nearly been murdered. “Welcome back, Miss Stone,” Mrs. Holiday said to me. “Thanks,” I said and hurried in the door. Walking down the main hall was quite an experience. Minus cameras flashing I suspected this is what celebrities felt like walking down the red carpet; a hundred eyes watching their every move. Oh yeah, and minus the millions. Every person had their eyes on me, even though I know for a fact most of my classmates were taught it wasn’t polite to stare. Their emotions were running at me full speed and I felt my heartbeat quicken. My steps felt heavy with the weight of their thoughts. I could pick up certain things as my Converses hit the wood floors of the halls. Some people wondered if I had been abused when I was taken. Others suspected more vile things had happened to me. There were thoughts of sympathy, but it was mostly fear. They feared that I was somehow cursed and I was bringing that curse with me, tainting our halls. Suddenly I saw Nick and Jasmine. For a split second I had forgotten they had transferred here. Nick came bounding down the hall toward me and put his hand in mine. Leslie gave him a surprised look and was about to tell him to back off, but she saw that I had thoroughly relaxed. “Thank you,” I said as he squeezed my hand. Nick gave me a slight smile and then walked away without a word. “And he has a crush on Rayna,” Sara laughed. “Ha!” I laughed sarcastically and then made my way to the locker Leslie and I always shared. The three of us were practically sisters. We fought, made up, teased, and picked. Normally our go-to reaction to stress was to tease and pick and that’s what Sara was doing. She was nervous for me and afraid so she teased to make me smile. I honestly didn’t feel like smiling or getting picked on. Thankfully she realized this and dropped the whole “crush” thing. Nick and I did have a unique relationship, but only because we were both Gifted. So was Jasmine, but she hated my guts so we hadn’t quite bonded yet. I was waiting for her to get past the hating my guts part. Despite what Nick might feel for me, my heart would always be Liam’s. Just the thought of him pained me, my ever-distant star, so bright among all the darkness. If the hunt for Ron or The Shadow ever ended, would we be able to pick up where we left off? It was highly unlikely. I had hurt him in the worst possible way. Not with a weapon that inflicted physical pain; I had claimed my heart belonged to someone else. I did this to save him. The Shadow made it clear that Liam would die if he stayed. So I hurt him, made him hate me by fabricating a love I didn’t feel. I let him see me; I let him watch me kiss…Jayce. Jayce, he had been hurt too. He had truly cared for me and I used that to my advantage. I had manipulated him into believing I cared for him, but it was only to save Liam. As these thoughts circled my mind I knew I was somewhat lying to myself. While I didn’t love Jayce, deep down he moved me. For a while I thought it was because his emotions intertwined so easily with me; that his emotions were just so intoxicating. Now, after six months of trying to reason away his effect on me, I came to the conclusion that I liked him. It wasn’t love really, but I had very strong feelings for him. I felt the reason for this was because there was something that we needed from each other. It didn’t make any sense to me at all. I’m not denying the fact that Jayce had captured a piece of my heart, but it wasn’t a relationship I wanted from him. Sure, I could easily be his friend, he was a charmer, but there was some connection we shared that went beyond friendship, but not quite love. It was a bond that was very hard to watch shatter, wither and die. “Where are you going?” Sara asked. So I put one foot in front of the other this morning. While I was bound to be overwhelmed with the emotions from my classmates, I was going to enjoy what was left of my Senior year, really enjoy it. If there was one thing that I learned from this past summer it was to just live. Granted I couldn’t have everything or everyone (that would be Liam) that I wanted, but I could make do with what I had. I thanked her and took my schedule to my first class. Thankfully I found a seat before the bell rang. My classmates tried their best not to stare at me, but every now and then their eyes would wander. Those same emotions tried to break down the wall of my mind. I placed my fingers on the bridge of my nose, pinching it as a throbbing pain began to make its way up to my forehead. Feeling an emotion different from the others, a feeling of pure concern and kindness, I looked over and noticed I was sitting beside one of my old theatre buddies, Mitchell. I gave him a smile and he gladly returned it. “Thanks, hey, what play does Mr. Nolan have prepared for the Spring?” I asked. I felt his thoughts hoping a “yes” and I also noticed many eyes and ears on our conversation. My first and second classes weren’t as bad as I thought they might be. It helped that Leslie was in my second class with me. The classroom change unsettled me for only a moment. I was brushing up against hormone-fueled teenagers and their constant emotional changes were hard to filter. Nick found me though during our first break and sat beside me on one of the bleachers in the gym. Jasmine came strutting up and grumpily sat next to him. She paid no attention to the fact that I was even there. Soon Leslie, Sara, and Mitchell found us. I saw that Leslie and Jasmine had gotten to know each other well during my absence. They were sharing some story about Tray Watson falling down the stairs last week with Mitchell. Apparently he was the only person in school who hadn’t heard. “Is he OK?” I asked them while they laughed. “What?” Jasmine asked, looking at me as though I had just blessed her out. “Is Tray OK? Did he get hurt?” I asked again, looking straight at her. Leslie said this to someone behind me. I heard a raspy laugh and turned around. “Hey, Leslie,” Mr. Cool said. He was tall, taller than Nick and Nick was tall. The boy had thick, dark hair and warm brown eyes. His skin was dark, like mine. “Come on over here and let me introduce you to Rayna,” Leslie instructed. Mr. Cool was a few seats up in the bleachers. He came down to stand in front of me as Leslie made her promised introductions. “Rayna, this is Mr. Cool because he wears a leather jacket and drives an Audi. Mr. Cool, this is Rayna, my other best friend.” Leslie said. “It’s OK, I get that all of the time,” he looked slightly embarrassed. That was it, he looked it. I couldn’t tell if he felt it because I couldn’t feel anything from him at all. “OK, are y’all hitting on each other right in front of us?” Leslie asked, looking at us with an eyebrow raised. I was totally bluffing of course. I knew I had never met him, but I was hoping to evoke some emotion in him to see if I could read it. I looked at Nick who was busy messing with his shoelace. He was in one of his “I’m in my own little world” moods. “Your uncle?” I was confused. Leslie interrupted our conversation about his saint-like parents to inform me that Patrick was an amazing dancer and the new star of our drama department. “Well that’ll be great. I suppose I’ll see you in class,” he smiled and walked away just as the bell rang. I grabbed Nick away from everyone before he left for his next class. Jasmine gave me a harsh look. “What’s his story?” I questioned. “Didn’t you just ask him his story,” Nick said this as an obvious statement, not a question. His expression had that far-away look. Nick actually looked at me then. His soft eyes were still a little glazed over, but I could tell he was listening. His response confirmed my assumption. “You’ve never told me that,” I looked at him narrowing my eyes. Nick grasped my hand reassuringly and then walked away. I didn’t think I’d ever get over his flighty emotions. Besides Dr. Wayland, he was the only other person whose emotions were so jumbled and disoriented. Liam had moments when he was an emotional mess, but for the most part I could read him plainly. Nick and Dr. Wayland had emotions like tangled up Christmas lights; I didn’t know which way they went or how to find the beginning. It wasn’t surprising that Mr. Nolan found out I was rejoining theatre before I actually told him. I had a feeling that Mitchell ran off to tell him the first chance he got. He was no less thrilled when I entered his class at the end of the day. The Romeo and Juliet play was well under way so I told him I’d do whatever needed to be done. I ended up being the makeup assistant, which I have to say I’m pretty good at. It really all started at a young age. Dad and I had always shared a fascination for the theatre, but his specialty was the makeup part. Even when we watched movies he would critique monster prosthetics or bad paint jobs. He would use me as his model all of the time. There was hardly a time, especially around Halloween, when I wasn’t running around the house with some sort of mask or flesh wound that Dad had created. He had once given me a pretty nasty cut across the face when I was about 6. I came into the kitchen where Mom was cooking and pretended I had fallen outside. She freaked out for about 2 seconds until she heard Dad laughing in the hall. She threw an oven mitt at his head when he walked into the kitchen, holding his sides he was laughing so hard. Mom looked like she wanted to bang Dad over the head with her skillet, but she could never stay mad at him for long. As soon as he started laughing she would crack up. Oh, she tried to keep a straight face and would reprimand him for teaching me how to be deceiving, but I could see the smile playing at the corner of her mouth. Dad saw it too that’s when he would strike, tickling her until she had forgiven him. When I saw Patrick back stage I went over to him. He had been on my mind all day. Why couldn’t I read him? He smiled when he saw me approach. He searched my face with his deep, brown eyes while I tried searching his emotions. One of us came up short. Again, nothing. This was unnerving and really scared the crap out of me. Maybe I needed to touch him, like Nick does to get better readings. My reading of people through touch had been heightened as of late. “Who are you playing?” I wondered. Nick was also in theatre to everyone’s surprise but my own. He wasn’t an aspiring actor, but he could build the heck out of sets. He was in the theatre room basement, building away. Nick came up every now and then, measured something, looked at me, and then went back down again. “I like it when he wears that sleeveless shirt,” I heard Annie Townsend say. “Uh huh,” Stacy Barton agreed. I had just returned from a near death experience and this is the first thing these girls ask me? Annie and Stacy were never “friends” of mine, but I never had a reason to dislike them. I wasn’t sure what they thought of me before, but right now their emotions were just indifferent. I was just a means to an end. They wanted to know about Nick; they didn’t give a rat’s behind about my recent ordeal. Oh well, at least they were actually speaking to me. All day most of my classmates just stared. They didn’t even say “Hi” or “Drop dead” or “I’m glad that serial killer didn’t murder you.” They were somewhat frightened. I guess being nearly killed by a psychopath sort of taints you. They gave me a somewhat friendly smile and then continued with their own conversation. I shrugged and looked back up at Nick. I wondered if he knew what they thought of him. I’m sure he did, but that would mean next to nothing to him. He just wasn’t like normal guys. My first day back went much better than I expected. Other than the occasional burst of emotions I didn’t have a complete freak out. The only concerning factor was Patrick. There had to be a way for me to read him. I kept a close eye on him throughout the class period. His rehearsal with Tessa wasn’t going well because she kept mixing up the lines and getting frustrated with her costume. He didn’t seem irritated by her, but that was only speculation. Tessa I could plainly read. She was embarrassed by her inability to grasp the lines and was even more humiliated that Patrick was there to see it all. She had a crush. It seemed every girl had a crush on him, especially Leslie. She would rather die than admit that to anyone. Her mind was already set on New York. That thought saddened me. It was inevitable that all our lives would change after graduation but having her so far away would be hard. That was her dream though and no best friend or cute guy was going to stop her. Going to New York at the end of graduation was all she could talk about. She had even been accepted to a fashion design school. When she told me about it I pretended to be excited for her. That makes me sound like a horrible friend. I genuinely and honestly was happy for her. It’s just that I would miss the heck out of her. It was the same with Sara. All that ever came out of her mouth was going off the college. She had tried to convince me to apply and go with her, but I politely refused. College was something I had always planned on. I wanted to better my life by educating myself, but there were things that needed to be taken care of before I settled on when and where I wanted to attend. It didn’t stop my mom from making me fill out an endless list of applications and scholarships. When it was time to go home Nick found me and we walked out the door. He never said a word until we found Jasmine at their car. “Bye,” he said then quickly got in the passenger seat. I got in my own car, but didn’t leave right away. Patrick came out after a while and I watched him and Tessa chat for a bit then he climbed into his sleek, black Audi. The whole time I watched him. It was like staring into nothingness. He was a blank page, an empty shell. If I didn’t know any better I’d think he was dead. I shivered at the thought then started my car. All the way home I thought about Patrick and what it was about him that prevented me from reading him. Patrick quickly left my mind when I pulled in my driveway and saw a vehicle sitting there. I knew that he would come and visit me; we had left many things unsaid. I just didn’t think it would be this soon. Another Raving Review for The Forsaken! 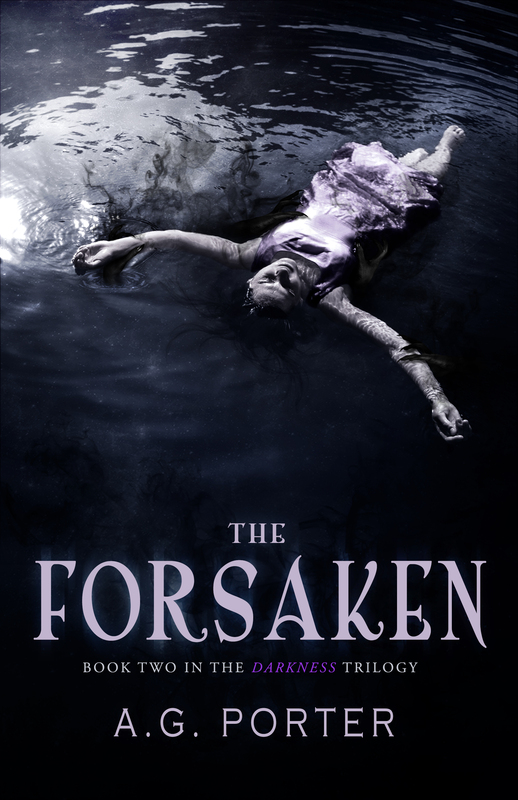 Thank you to Stephenne (another amazing Book Blogger) for her raving review of The Forsaken! I’m so thrilled that Stephenne enjoyed the book. It brings so much joy to my heart knowing that there are readers who love this book as much as I loved writing it. Us authors bare it all in our art so to have someone relate to it is just an out of this world feeling!!! The Release Date for The Forsaken! Happy February 1st!!! You know what? I have set a date for the release of The Forsaken. It’s going to be…February 28th! That’s right, the last day of this month! And you know what else? On top of the giveaway I’m already doing I’m going to be giving away a FREE ebook copy of The Shadow every Friday leading up the release day! That’s not all, whoever the winner is on each day will also get a FREE ebook copy of The Forsaken once it is released! Can you tell I’m excited about this? There will be different ways to win each Friday. The rules will be posted on my FB page on each Friday or Thursday. So pay attention! If you don’t like my FB page then give it a LIKE for your chance to win. 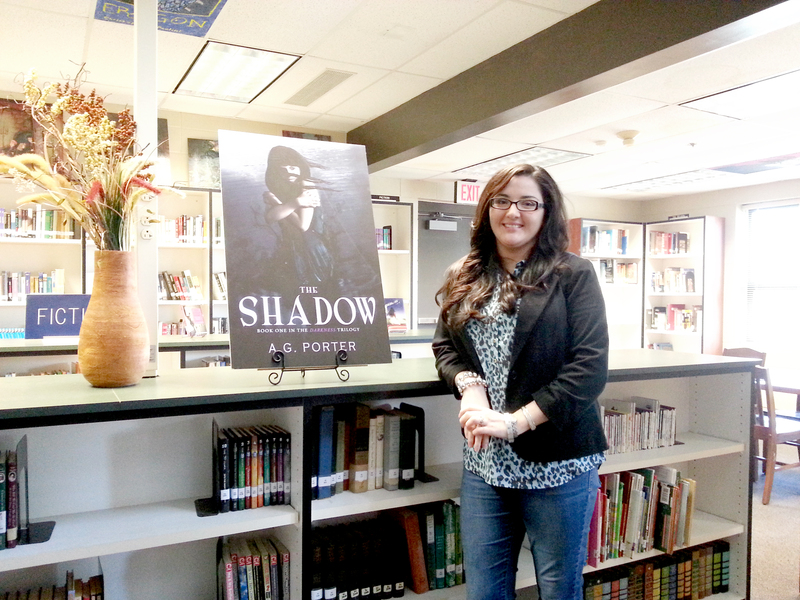 The Shadow Review Giveaway and The Forsaken Cover Reveal! I had mentioned last week about a giveaway. The rules were you had to leave a review of The Shadow, the first book in The Darkness Trilogy, on either Amazon, B&N, or Goodreads. 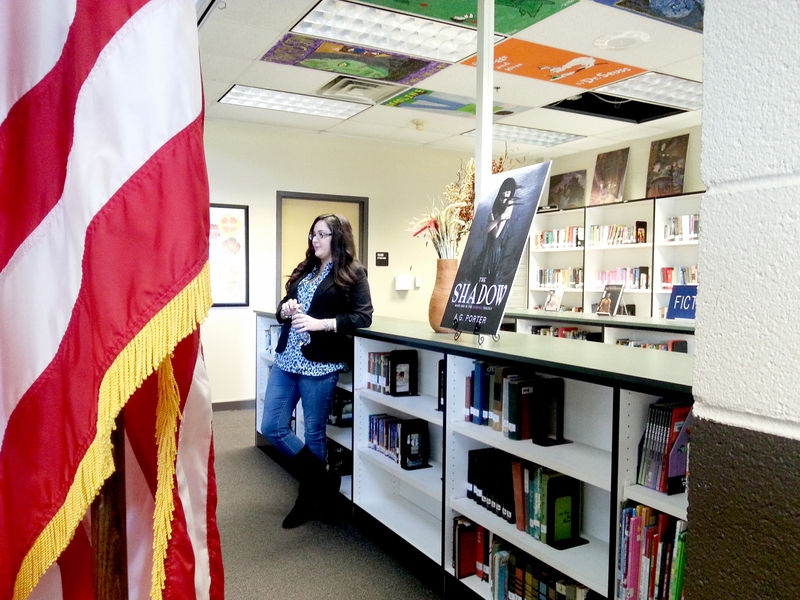 The prize would be a signed copy of The Shadow and the second book, The Forsaken. I’m glad to say that the contest starts tomorrow and will run until the end of February. Why so long? Well, it will gives those who haven’t read the book a chance to and to leave a review. What I am hoping to gain from this is of course reviews and hopefully to reach a bigger audience. Reviews and word of mouth really can make or break an Indie Author. Each review I receive, each praise and referral to a friend is another step closer to making writing what I do for the rest of my life! I can’t thank you all enough for all you’ve done so far. One last thing. The cover reveal of The Forsaken will be released here on my blog next week! So if you’re interested stay tuned! I Survived My First Speaking Engagement! I survived! The speaking engagement at Madison County High School that is. I have to say that it was one of the best experiences of my writing career so far. The book signings I’ve held have been fantastic because I get to meet new readers. However, this speaking engagement was thrilling because I was given the chance to tell my personal story and possibly inspire others! 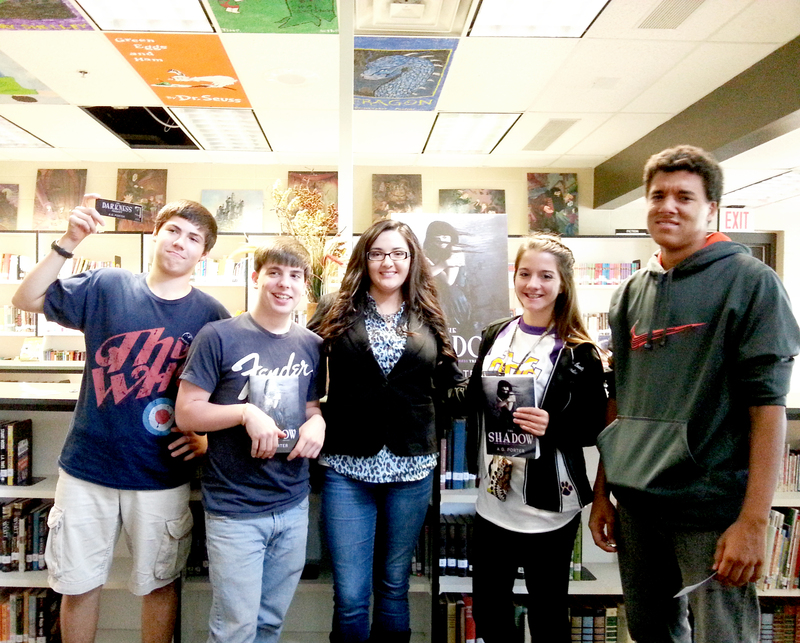 It would have been an amazing treat to have a local author come speaking to me when I was in high school. 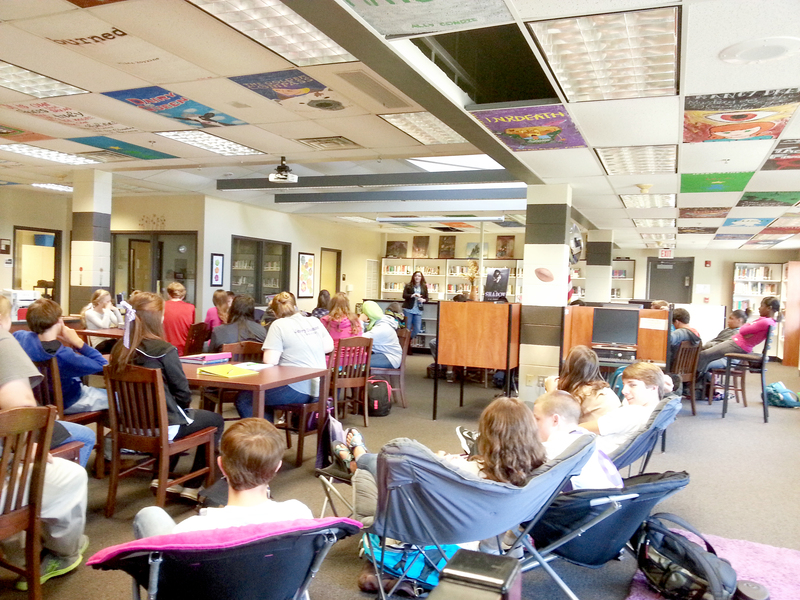 Here I am speaking to a group of kids at MCHS. 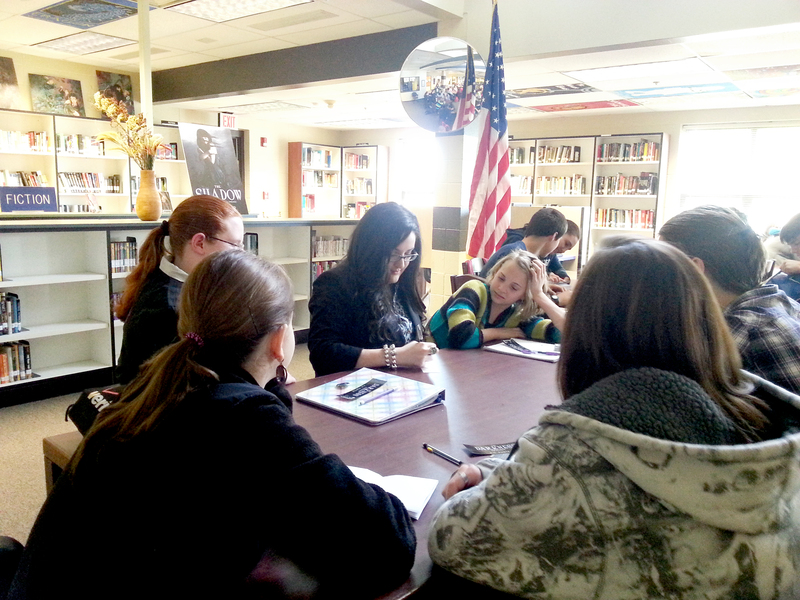 The kids were fantastic, attentive and genuinely interested in what I had to say. I had several questions that I was prepared for and others were some I didn’t really think about, but found important to share with other students. Granted, at the beginning I did have to pry questions out of them. They were shy, but after a while they got a little braver and started asking questions on their own. After speaking to the kids I was able to do a giveaway! I love doing giveaways. Each event I go to I make sure to bring something with me to raffle off. I’m not sure if other authors do this, but I think it’s helpful in many regards. For one, it gets your listeners excited about what you’ve written if they can possibly win a copy of your book. Secondly, once they get their hands on it, read it, enjoy it, then they can share it with others. After the raffle I was able to walk around and talk to the kids. Many of them had more questions that I greatly enjoyed. One kid in particular was shy about asking me to come over so I could give him my autograph until his friends prodded him long enough. He was just adorable! Another boy and girl called me over to tell me how much they enjoyed reading and were looking forward to reading my book. That meant the world to me. So I went around signing bookmarks and slips of paper for whoever wanted it. All in all, it was a great time where I got to meet some really cool kids and teachers. Thank you Madison County High School for letting me come and share my story. You are a huge inspiration!